It was night number two in Vegas and I wanted to get some quality Mexican food while I was somewhat close to the border. I didn’t want hoity toity, expensive Mexican food on the strip though. 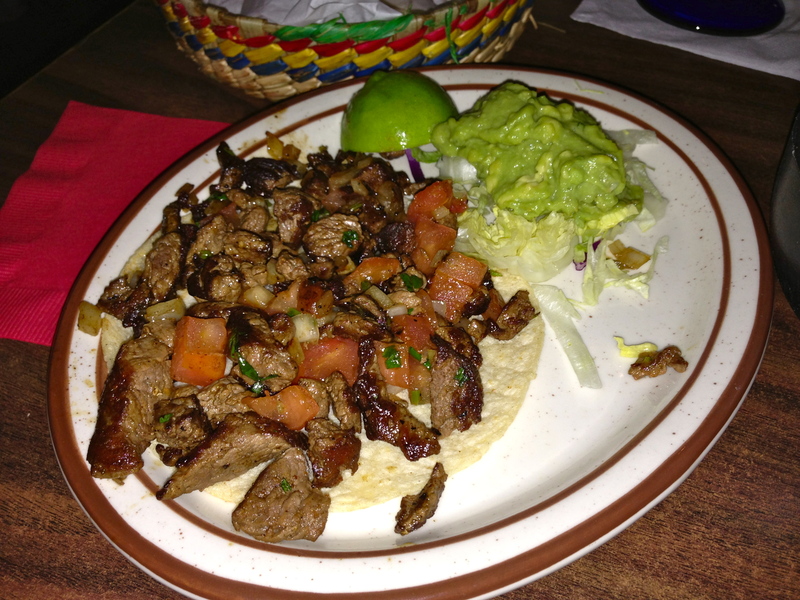 I wanted authentic Mexican at a reasonable price and so I turned to my dear friend, Google, to help me find a place. My search returned a restaurant by the name of Lindo Moachan and Yelp helped me to confirm that this was in fact a good, if not the best, spot to get Mexican “off the strip” in Vegas. One look at the menu and I was sold, so I hopped in a Taxi with my friend and the two of us headed out on a 15-20 minute drive outside of the city. With only the first 5 minutes of the drive behind us, I started to get leery of our destination based on surrounding neighborhood, which was quickly turning into dingy strip malls and impoverished dessert homes. But then I noticed that all of the store signs were in Spanish and I knew we were getting the real deal—this was going to be a Mexican fiesta. Sure enough, we walk in and are just about the only gringos in the place. A mariachi band is playing to the left of the bar, a quincenera fills half of the dining room, and everyone is rolling their “r”s as they talk a very quick Spanish. 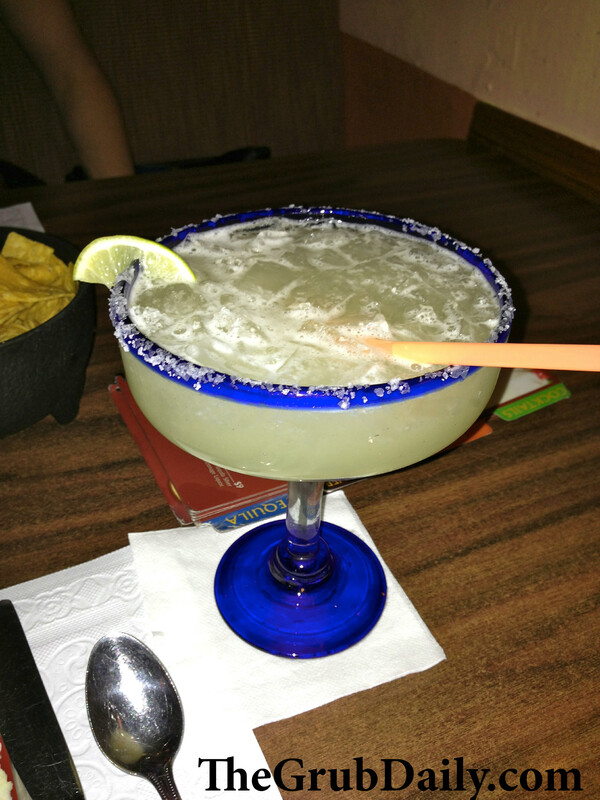 I take a seat, order a Javier Margarita on the rocks with salt and sit back in my booth with a smile. What more could one ask for? Oh, yes…. 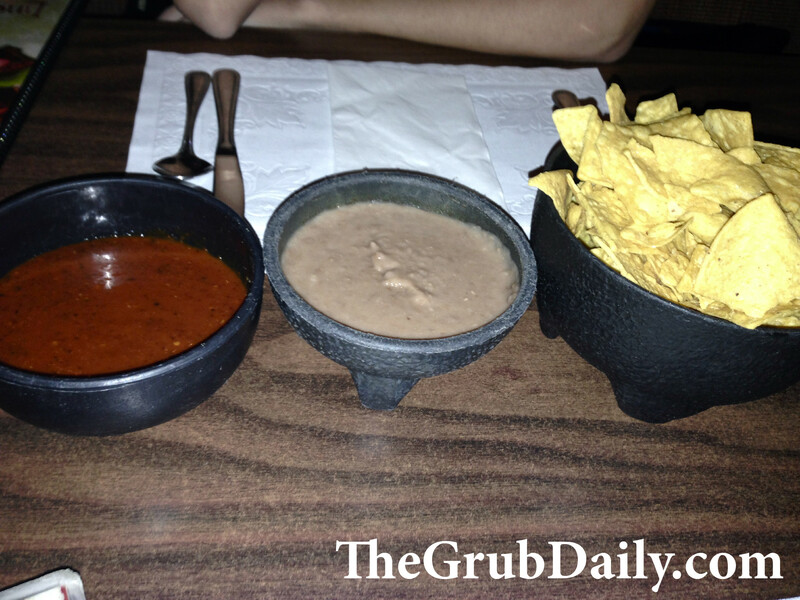 homemade corn chips served with salsa and a spicy black bean dip! 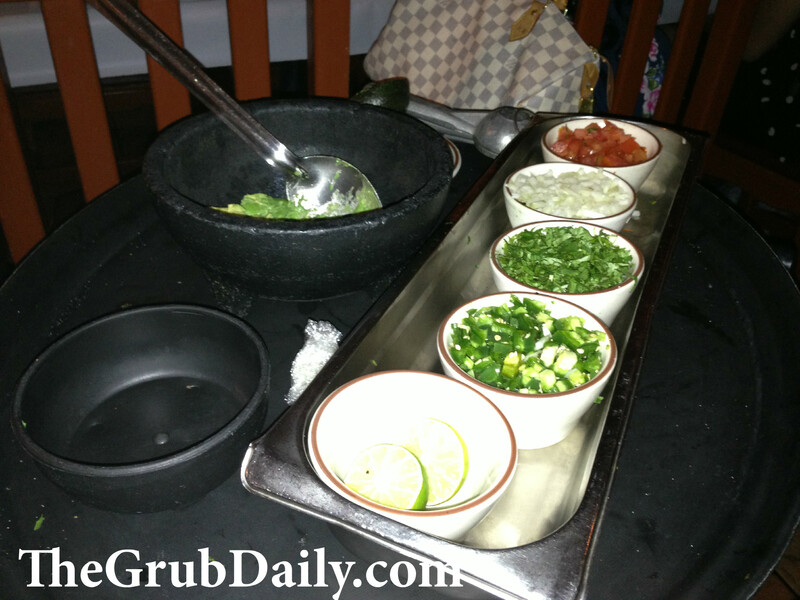 100% complimentary and amazing, but I also had to order the Guacamole ($8.25), which was made to order at the table! My friend and I ate the entire serving, which included nearly 3 beautifully ripened avocados! Round numero dos on margs. For an entrée, we decided to share the Chicken Mole Poblano ($14.95) and 2 of the Carne Asada Tacos ($3.75 ea.). Mole, a traditional Mexican sauce made with dried chilies and a strong chocolate flavor, sauce can be a massive hit or miss depending where you get it. 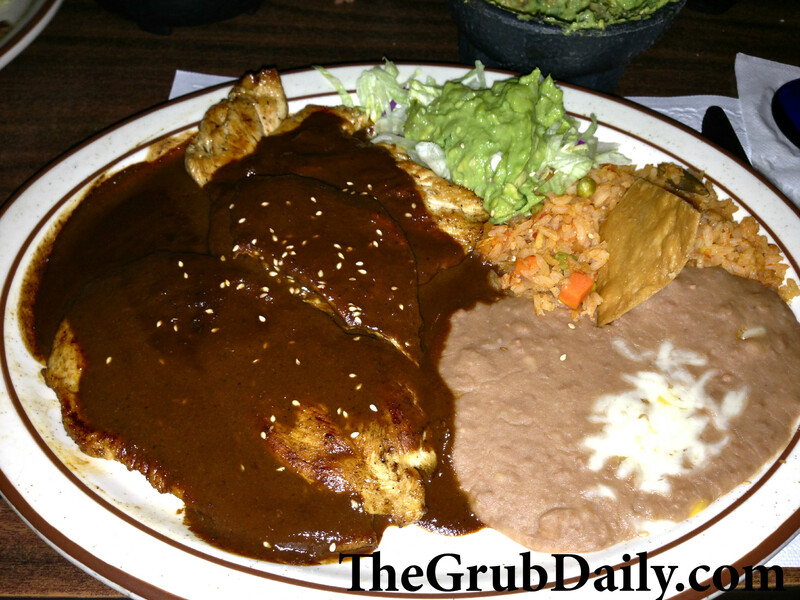 However, I was willing to take my chances at this place and I am so glad that I did, because it was the best mole that I have ever tasted. The chicken was pounded out nice and thin and the sauce, which is thick almost like a gravy, was ladled on top. 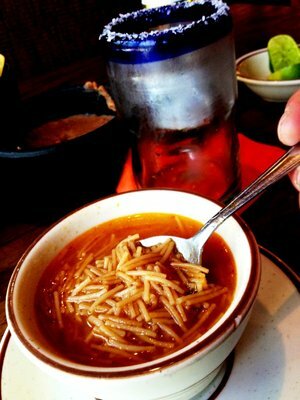 The dish was accompanied by refried beans and seasoned yellow rice. The carne asada taco was also incredible, with tender and well-seasoned beef in a soft flour tortilla—simple and good. It was time for round numero tres on margs and then it hit me that we were out in a random strip mall in the middle of the dessert and finding a cab probably wouldn’t be the easiest task in the world (especially after a third margarita!). And that is when Lindo Moichan solidified their number one ranking in my book. Upon asking my server about the likelihood of catching a cab back, he informed me that they offered a free driving service back to the strip for tourists that made the trek out to their restaurant!!! Seriously?!?! Ohhhh and they let us take margs to go for the ride home! The driver wouldn’t even accept a tip from us when we got out of the shuttle car. Amazing meal and service. I will definitely be back!